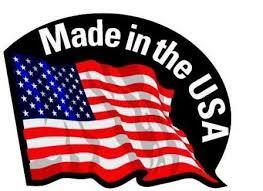 We source the best USA made products for your everyday life! We love Inventors and Innovators! Our founder, Amy Wolfe, has been inventing things since she was 10 years old. The Millwater Products company was founded out of her love for inventing and for mentoring other inventors in their journey with their ideas and products. Millwater Products core value is centered around the invention process and American Innovators. While we understand that it is difficult for products to have 100% USA Made sourcing, our goal is to have all our products sold on our site be MADE IN THE USA . If all parts of the product are not 100% USA made, we have stringent regulations that require the people behind the product, and the initiative of the product, be USA based companies with the goal of creating jobs in the United States of America. We value worldwide relationships and trade, which is why we would not discount a product manufactured here in the USA by an American company that uses some parts from reputable sources from other countries. One of the great things Americans can offer is their skill. So, we do require all assembly of our store items be done by American workers, to help maintain jobs here in the US . Our founder, personally, approves all products sold on our store. Her goal is to find innovative products and services that help us in our everyday lives. Our Millwater Store may only have a few products now, but that is due to our regulations and the time it takes to source great products. So, keep an eye on our store as it grows. You will start finding unique products you can be proud to buy, own, and use.